The last year of WWII, 1945, saw the surrender of Nazi Germany, the Allied counter-attack on Imperialist Japan, the Allied blockade and military drive on “the Empire,” the atom bomb, and the surrender of Japan. 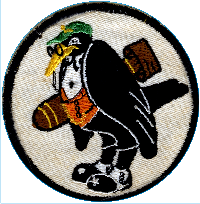 Patrol Bomber Squadron VPB-118 of the United States Navy played little-known but crucial roles in this drive to Allied victory — picket radar fleet protection, destruction of enemy pickets, scouting, mine-laying, and support to other units. But their most notable activity is hinted at in their plane’s monicker: “Privateer.” The Privateers of VPB-118 and other squadrons were feared by Japanese shipping in the Korea Strait, Yellow Sea, and East China Sea – scuttling many thousands of tons of crucial supplies from Asia bound for Japan, and raiding the enemy at harbors and peninsulas. These activities helped reduce Japan's ability to wage war. VPB-118 was the first squadron to fly the PB4Y-2 or “Privateer” — in fact they trained on the Privateer before the existence of the plane was officially announced. This site is dedicated to our fathers’ squadron.